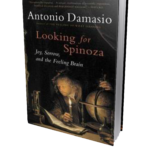 Books by Antonio Damasio - Jon Lieff, M.D. 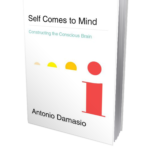 Antonio Damasio has written a series of excellent books on the brain and mind. He has been a pioneering neuroscientist elaborating on the importance of the emotional brain. His books analyze a wide variety of clinical neurological problems and their implications concerning the general questions of consciousness. His theory of the brain includes different levels of consciousness, the proto, the core, the autobiographical, and extended. 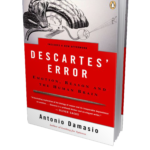 His books on philosophy, including criticism of Descartes’s dualism and agreement with Spinoza’s view of humans as not apart from material nature, emphasize the intertwining of the physical manifestations of emotions or feelings with our rational mental processes. His most recent book traces the existence of proto mental characteristics of mind throughout evolution culminating in complex awareness of the human brain. He discusses brain regions that might correspond to different definitions of the self, giving more credence than most to the importance of older brain structures such as the brain stem. His analysis is always based upon clinical neurological findings, and unlike many consciousness theorizers he emphasizes the fact that we are embedded in the body.